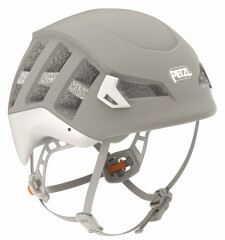 Rocketing through the atmosphere, Petzl's updated Meteor helmet seems to appear only as a brief flash of light whizzing past on the skin track. 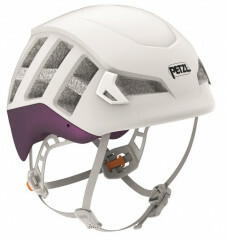 This is the first CE-certified "ski touring helmet", combining light weight protection and ventilation into one package. With the Meteor, Petzl has pioneered a cutting edge race helmet with side, front, and rear protection that will keep you skiing all year round. The sleek looking expanded polystyrene (EPS) foam helmet has a lightweight polycarbonate shell for added durability and it comes in a variety of color options. A glove-friendly ratcheting fit system in the back allows for a secure fit and quick adjustments. One helmet for year-round performance! Designed in accordance with Petzl's TOP AND SIDE PROTECTION label to go above and beyond typical mountaineering helmet tests. 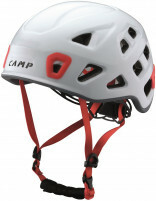 Better side, front, and rear protection than the top-impact climbing helmet certification (EN 12492) and better weight and ventilation than the alpine ski helmet certification (EN 1077). Optimal ventilation on both the ascent and descent. Front of helmet is specifically designed for integration of ski goggles, combined with an elastic band in the rear for your goggle strap. 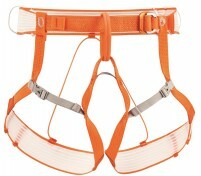 Two clips in front and a rear elastic band for securing a headlamp to the helmet. Semi-rigid headband can be adjusted easily, even with gloves on. Compatible with VIZION and SKREEN eye shields. 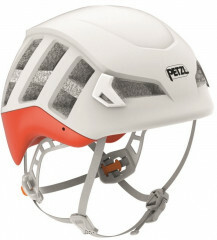 Certifications: CE EN 12492, CE casque de ski de randonnée, UIAA. Materials Expanded polystyrene (EPS) interior, polycarbonate shell. Wondering if I could use this helmet during the Trofeo Mezzalama. 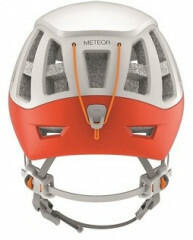 It requires that the helmet "meets both CE EN 12492 and EN 1077 class B standards." Would this helmet fly?? Hi Patricia, it is not certified to EN 1077 (skiing) standards so it will not fly. It has enough strength / impact protection for that cert, but the vents are too big (allowing a ski pole to pass through). 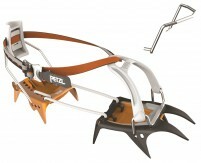 Petzl is trying to establish a new standard that eliminates that silly ski pole stipulation.